Forum » Vehicles » Other/Multiple Brand Vehicles » Built Isusu Vehicross - Yes I Can! Built Isusu Vehicross - Yes I Can! I just had to share this picture I ran across of a built Vehicross. Not bad, right? Re: Built Isusu Vehicross - Yes I Can! reminds me of 1999 when the "Excuse you" vehicross made it's epic debut: "Cars, Prepare for Extinction - Introducing Isuzu VehiCROSS"
Ha! I remember that! 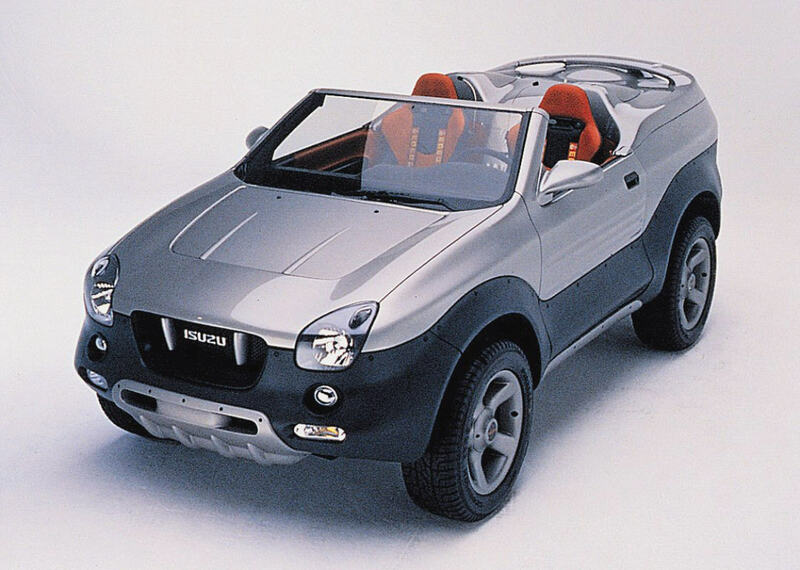 I always like the Vehicross as a car, never really thought of it as a serious 4x4. But obviously the owner of the one in the OP did, and went to some extremes to see it through. I'm a big fan of engineers who have a vision and see it through. My brother in California belongs to an Isuzu wheeling group. I tagged along with him up in Moab a few times on their groups runs. Lot's of Vehicross out there playing on the rocks. Pretty crazy little vehicle, but fun to watch bang around on the rocks. Those things are highly underestimated. They have the unfortunate hinderance of an IFS, but the A-arms are massive, bigger and beefier than a 3/4 ton Dodge. The rear axle has a 9" ring gear and the armor underneath is unbelievable. They are a little short on ground clearance, but they have excellent suspension travel from the factory with 9" up front and about 10" of vertical travel which translates to about 14" of articulation out back. They were capable of ramping about 540 on a 20* ramp from the factory. They also have remote reservoir shocks from the factory which made them holy terrors in a fast wash or open desert. All Isuzu trucks of this generation were overbuilt almost to the point of being ridiculous, but the Vehi-Cross took it to the extreme. Holy freakin' rock stacking, Batman!